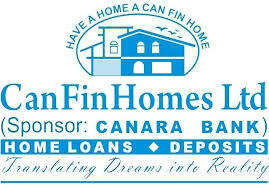 Can Fin Homes Ltd has published Advertisement for below mentioned Posts 2018. Other details like age limit, educational qualification, selection process, application fee and how to apply are given below. Job Profile: Attending to the customers, documentation, scanning of documents, data entry operations in the computer, Marketing of Housing Loans, making phone calls to the customer for business/recoveries, undertaking recovery visits etc. and such other work assigned by the Branch Manager from time to time. Educational Qualification: A degree in any discipline from a recognized university, proficiency in data entry / computer applications is preferred. Other Requirements: The candidate must be able to speak, read & write in the local language (apart from English) of the region/area of the branch for which he/she applies for. He/she should hail from the same region/area of the branch for which applications are invited. Others need not apply. Age Limit (as on 1st February 2018): Minimum: 21 Years, Maximum: 30 Years.